Access Ezy storage units are in a substantial building providing undercover loading for households, businesses and students. Call Today (09) 625 7923. 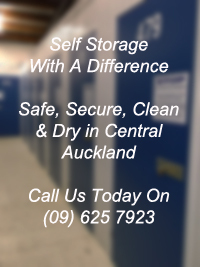 Our storage is indoor in substantial buildings which provide top security and best protection from deterioration. Security is a top priority with a top rating from insurance companies. Individual lockup units of various sizes from 4 cubic meters up to 60 cubic meters. Being inside substantial buildings gives double roof protection. Gives freedom from condensation, is clean and dry. Undercover loading inside the buildings.